Janice Meyerson has triumphed in opera houses and concert halls on five continents, bringing her rich tone and dramatic characterizations to virtually the entire mezzo-soprano repertoire. She has sung with many of the world’s finest orchestras, including the New York Philharmonic, Boston Symphony, Philadelphia Orchestra, Minnesota Orchestra, Milwaukee Symphony, National Symphony, New Orleans Symphony, Mexico City Philharmonic, Dallas Symphony, and American Symphony, especially with her performances of such works as Verdi Requiem, Mahler Das Lied von der Erde, and Brahms Alto Rhapsody. She has sung under Seiji Ozawa, John Eliot Gardiner, Sir Charles Mackerras, Rafael Kubelik, Leonard Slatkin, Lorin Mazzel Christian Badea, and others; Leonard Bernstein conducted her professional debut as Brangäne TRISTAN UND ISOLDE at Tanglewood and later with the Philadelphia Orchestra. Highlights of her operatic appearances include leading roles with Deutsche Oper Berlin as Laura LA GIOCONDA, Teatro Colón, Buenos Aires, as Amneris AIDA, Frankfurt Opera (three seasons as Amneris), New York City Opera as CARMEN and Santuzza CAVALLERIA RUSTICANA, Théâtre Royal de la Monnaie, Brussels, as CARMEN, L’Opéra de Montréal as Herodias SALOME, Vlaamse Opera, Antwerp, as Adriano RIENZI (a role also sung in London and with Opera Orchestra of New York), Palacio de Bellas Artes, Mexico, as Judith BLUEBEARD’S CASTLE, Washington National Opera as Baba the Turk THE RAKE’S PROGRESS, Opera Company of Philadelphia as Olga EUGENE ONEGIN, Opera Orchestra of New York as HÉRODIADE, Essen Opera as Eboli DON CARLO and Ulrica UN BALLO IN MASCHERA (a role also sung with Calgary Opera), Teatro Municipal, Rio de Janeiro, as Azucena IL TROVATORE (a role also sung at Teatro Colón, Colombia); Staatstheater Kassel as Kostelnicka JENUFA, Preziosilla LA FORZA DEL DESTINO and Fricka DER RING DES NIBELUNGEN, New Orleans Opera as Mother HANSEL AND GRETEL, Houston Grand Opera as Suzuki MADAMA BUTTERFLY (a role also sung with Opera Theatre of St. Louis), Freiburg Opera as Phaedra in Rameau’s HIPPOLYTE ET ARICIE and Opera Ireland as Kabanicha KÁT’A KABANOVÁ. Ms. Meyerson has appeared at Teatro São Carlo, Lisbon, in Schnittke Faust Cantata; Carnegie Hall in Verdi Requiem; and in Bernstein’s Songfest at Tanglewood, London Proms, Schleswig-Holstein Music Festival and Moscow’s Gorky Park, all conducted by the composer. She made her New York Philharmonic debut as Judith BLUEBEARD’S CASTLE, and subsequently appeared there in Stravinsky Les Noces and Bernstein Jeremiah Symphony, a work she also sang with the Moscow State Orchestra on a tour of Russia. With the Boston Symphony, she sang Bruckner Te Deum and Berlioz BÉATRICE ET BÉNÉDICT, both conducted by Seiji Ozawa. She was soloist in Prokofiev Alexander Nevsky with the Knoxville Symphony and in Elgar The Dream of Gerontius with the Calgary Philharmonic. With numerous orchestras, she has appeared as soloist in Mahler Symphonies No. 2, 3, and 8, Das Lied von der Erde, Kindertotenlieder, Lieder eines fahrenden Gesellen, and Rückertlieder. Appearances in recent seasons include include Herodias SALOME with Florida Grand Opera; Madame LES BONNES (Bengtson/Genet) with Angers-Nantes Opéra, France, where she also sang Mother THE CONSUL; Frugola IL TABARRO with Arizona Opera; and Wagner Wesendonck Lieder with the Omaha Symphony. 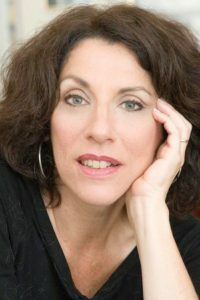 In 2004, she was contralto soloist for Shostakovich From Jewish Folk Poetry with Leon Botstein and the American Symphony at the Bard Music Festival where she was re-engaged the orchestral arrangement of Copland’s Eight Poems of Emily Dickinson. Ms Meyerson sang Chausson Poème de L’amour et de Ia Mer with the Wyoming Symphony and Shakespeare Songs at Symphony Space’s Wall-to-Wall Stravinsky Festival in New York. Ms Meyerson has also appeared at Barcelona’s Gran Teatre del Liceu, most recently as Mrs. Sedley PETER GRIMES, a role she repeated with the San Diego Opera in 2009. She returned recently to Washington National Opera for JENUFA and Mary FLIEGENDE HOLLANDER in 2008; the title role in CARMEN at Teatro Solís in Montevideo, Uruguay, the Old Prioress DIALOGUES OF THE CARMELITES with Kentucky Opera. She covered Klytämnestra ELEKTRA with the New York Philharmonic in 2008-09. In 2009-10, she covered Kabanicha KÁT’A KABANOVÁ with Lyric Opera of Chicago and performed Filipyevna EUGENE ONEGIN with Anchorage Opera. In 2011, she sang Mrs. Grose TURN OF THE SCREW with North Carolina Opera.